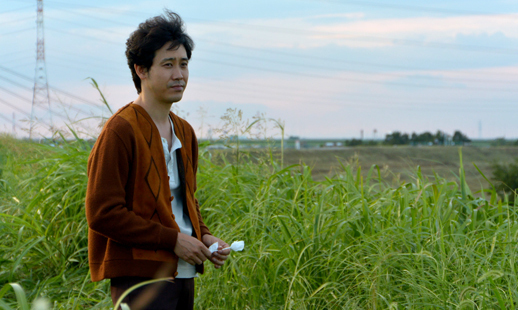 This year’s Japan Foundation Touring Film Programme is called ‘It Only Happens in the Movies?’ and it explores the theme of ‘encounters’. The films in the programme “include titles in which characters experience seemingly unusual meetings, plunge into unexpected circumstances and new environments, as well as collide with different generations, ideals and ideas – asking the question, does it really only happen in the movies?“. This afternoon I went along to the Watershed in Bristol to watch the last of the films in the programme: Bolt from the Blue (青天の霹靂 / Seiten no Hekireki). Bolt From the Blue is a touching, heart-warming film, and I found myself completely lost in the story. This film, directed by Gekidan Hitori (劇団ひとり), is an adaptation of one of his own novels, and was a huge box office hit in Japan in 2014. 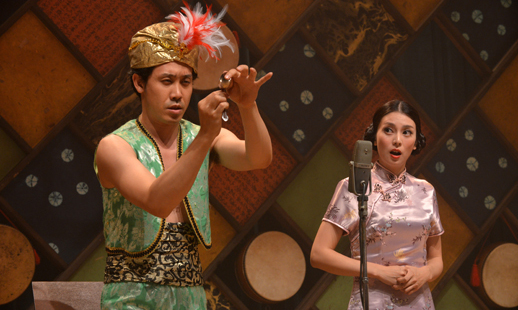 The film is an uplifting comedy (although not a side-splitting comedy) about a wannabe magician called Haruo (played by Yo Oizumi (大泉 洋)) who has lost his way in life. Broke and tending bars for a living, he hits a real low when he gets a call informing him that his father has passed away. 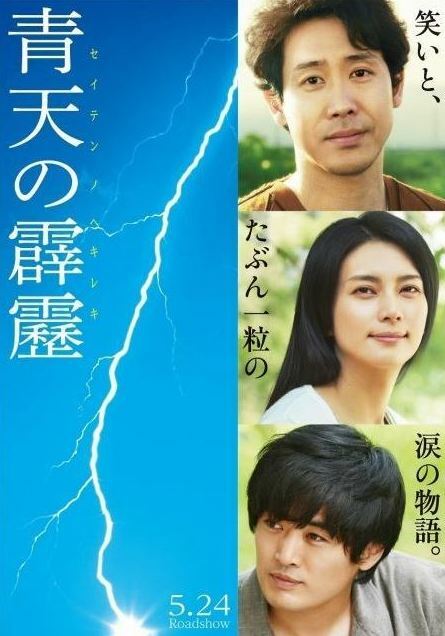 When Haruo goes to collect the belongings of his estranged father, who had apparently been sleeping rough, he is suddenly hit by a ‘bolt from the blue’. The lightning strike transports Haruo to 1973, 40 years in the past and just before his own birth. This glimpse at Showa Era (昭和時代) (1926 – 1989) Asakusa in Tokyo is absolutely fascinating, and so is the story which ensues. Haruo finds himself finally on the magical career path of his dreams, and also entwined in the story of his own parents. This is a story about family and the consequences of the choices we make in life. It’s beautifully filmed, and is just an absolutely lovely story. I adored the ending, but I won’t give that away here – check it out yourself if you can!